A lifestyle blog that documents my life after being a baseball wife to a professional player! I love fashion, food and cover everything in between! 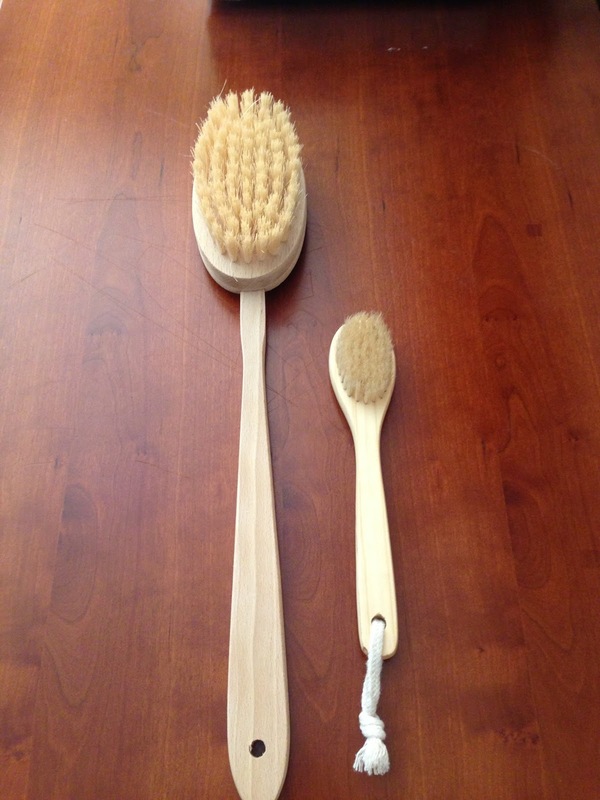 Try Dry Brushing your skin once a day! Did you know that our skin releases a pound of waste daily? It is our largest organ so we must take care of it and this is one easy way to help our bodies remove the toxins we put in it. This helps in removing our dead skin cells to keep our system running smoothly, stimulates hormone and oil glands, strengthens our immune systems and I've read that it can even reduce cellulite....the verdict is still out on that one! It also improves blood circulation, evens out skin tone and helps in digestion! Make sure you choose a brush that has natural (avoid synthetic ones) fiber bristles and one with a long handle for reaching your back. I use the smaller one for my face although you can use a dry washcloth for your face! They are inexpensive and you can find them anywhere from Whole Foods to Wal-Mart. Shower and then treat your skin with coconut oil! At first it will feel a little harsh but believe me your skin will get used to it. It's so worth the 5 minutes it takes and I try to do it daily. So should you! This sounds super interesting to me. Logan has very dry sking (swim team) as well as psoriasis. I need to research and see if this is ok for him. I know with psoriasis sometimes things can be TOO abrasive and make it worse. Thanks for sharing. I have never heard of this I would like to try as well. I'll try to look as well to see if it would be something Logan could do...You should definitely try it. I think it would be right up your alley! I haven't brushed in awhile - thanks for the reminder! Thank you for leaving a comment! I love hearing what you have to say! Welcome to Life After Baseball! Follow along with me as I share my passions for fashion, food and fun.